A great evil is spreading across Middle-earth, and none—Elves or Men, Hobbits or Dwarves—are free from its vile touch. If they are to survive this menace, the Free Peoples must band together, combining their wisdom and might to stand against the shadow creeping across the land. 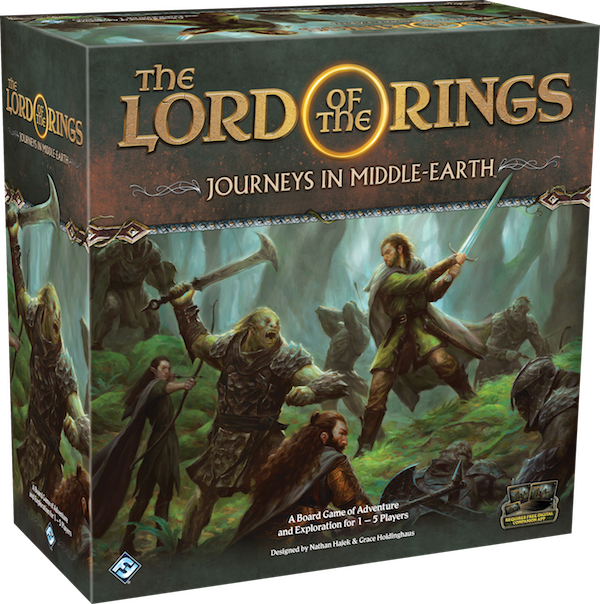 In The Lord of the Rings: Journeys in Middle-earth, you and your friends are invited to form your own Fellowship of legendary heroes and set off on a quest to rid the land of these evils. With six unique heroes available, who you choose to play reverberates throughout an entire campaign, shaping your approach to the challenges that come with each new adventure. But it does not fully determine your fate. As you hone your skills throughout your adventures, you’ll also have the chance to take on different roles in your group, developing new skills and discovering new ways to overcome the trials you’ll face. Join us today as we preview three of the heroes found in The Lord of the Rings: Journeys in Middle-earth and three of the distinct roles they can play in your Fellowship! 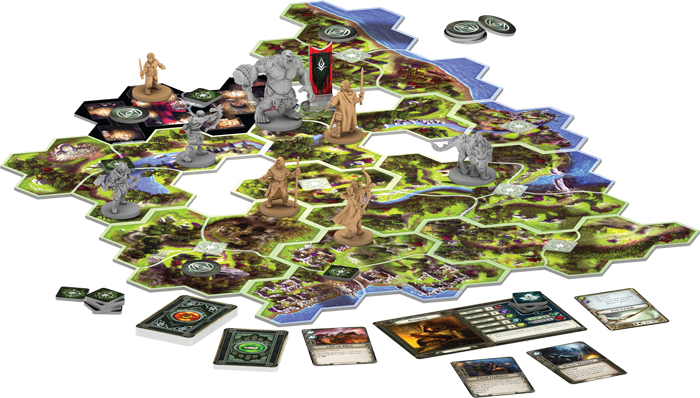 With the fate of Middle-earth hanging in the balance, individuals from all of the Free Peoples have stepped forward to battle the evil forces threatening the land. As such, you have a variety of heroes to choose from when building your Fellowship, each with their own abilities and talents. As we revealed in our announcement, these talents are represented by a unique deck of skill cards that is used to determine the results of your battles and skill tests. 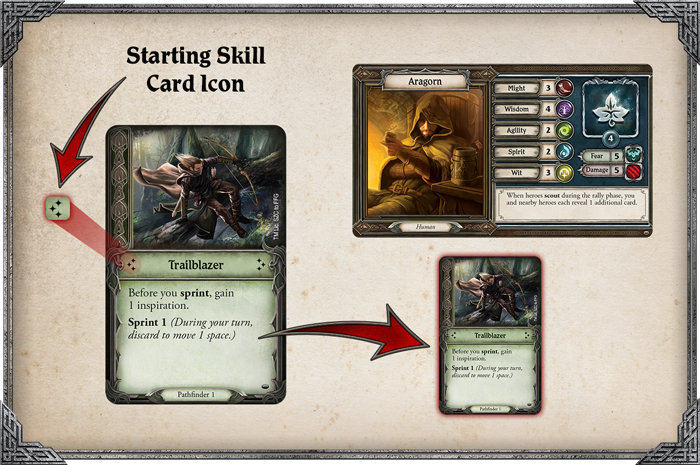 At the beginning of a campaign, a hero’s skill deck consists of the basic skill cards, their personal hero skill cards, and the skill cards from their chosen role! 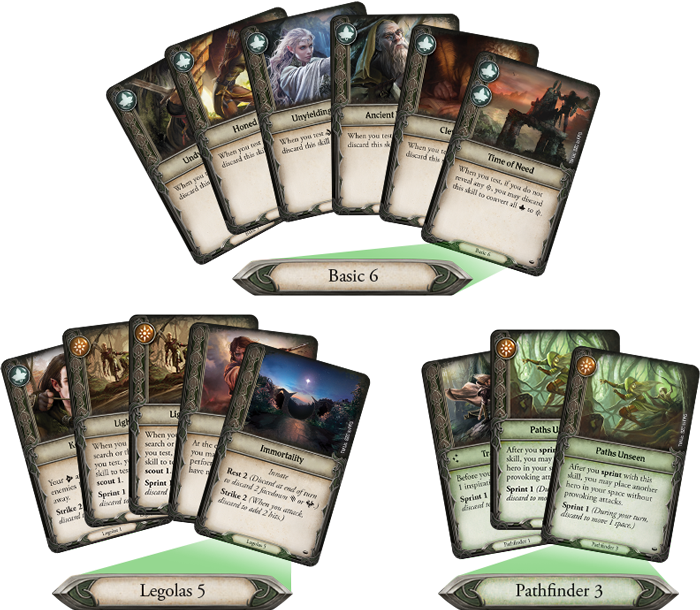 Every player begins with six basic skill cards and five skill cards unique to their hero. 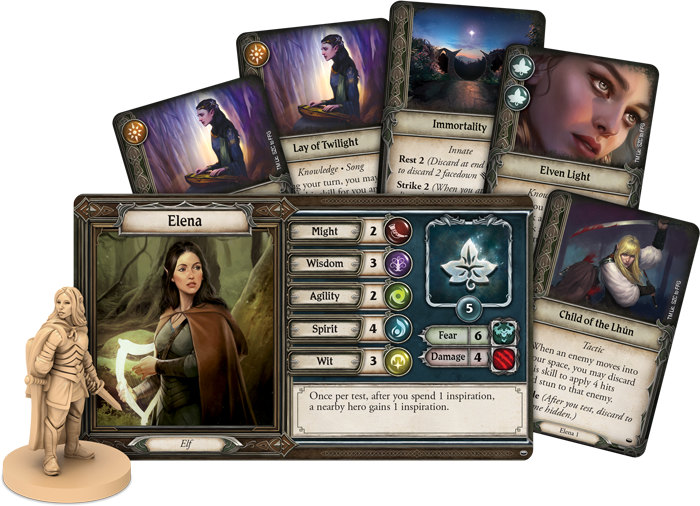 While these cards help establish your hero’s basic identity, you have the freedom to customize your character by choosing one of six roles at the outset of each adventure and adding the three skill cards for that role to your deck. With these cards in their deck, a hero becomes even more specialized, giving them a purpose within your group. moving swiftly ahead and gaining inspiration for doing so. 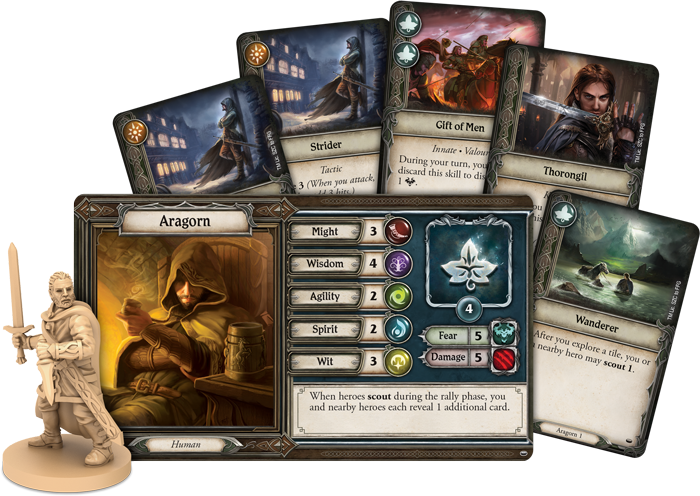 Aragorn has opted to be the party’s Pathfinder for this adventure, so he begins with the Trailblazer skill card prepared below his hero card! While certain heroes have abilities and skills that are more in sync with certain roles, this doesn’t mean you have to pick the same role for the entire campaign. 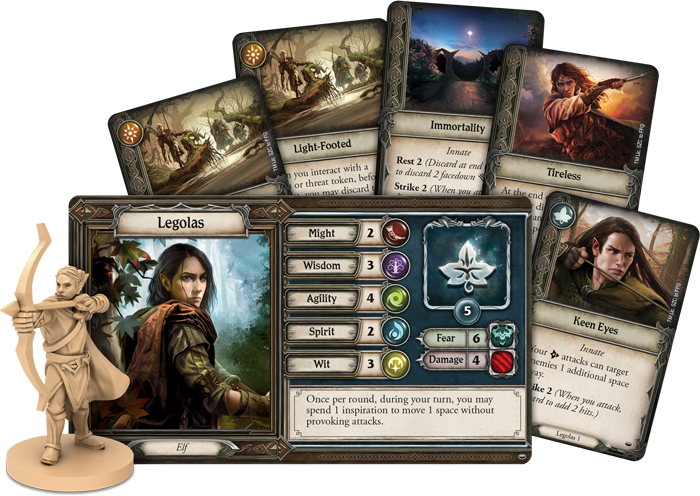 A hero selects a role in the Journeys in Middle-earth companion app at the beginning of each new adventure, giving you the freedom to experiment with new roles as you play. In fact, heroes gain experience within their chosen role during a given adventure, allowing them to master skills from a variety of roles as they proceed through their quest. We’ll take a closer look at your skill deck—including purchasing and selling skills—in a future preview! Where many Elves of Mirkwood are skilled, Legolas excels: tracking down enemies, perceiving what others cannot, and moving without impediment or trace. With the world in motion, fueled by a spreading darkness, he stands ready to lend his superior talent and skill in the fight against the rising evil. to add even more hits to his attack. affords him benefits not seen amongst other peoples, including the chance to heal his body and mind or make an even more forceful attack. We’ll describe attacking enemies in more detail in a future preview! Born in the great port city of Mithlond, Elena has watched for years as hosts of her kin take to the sea, retreating toward the Undying Lands. Nothing remains for her in these forsaken lands but the beauty of its fading. Having gathered the stories and songs of those who fled west, Elena now sets out to seek the tales of those who remain and perhaps, if she is fortunate, partake in one of her own. gives her the unprecedented ability to see into her skill deck and perhaps change her fortunes in an upcoming test. This knowledge also extends to the many songs of the Elves, and as a Musician, she can inspire others to succeed at their tasks. This song can put the entire party at ease, helping them recover from both the physical and mental strain of their quest. she can make a swift attack against an enemy that enters her space—and disappear just as quickly. Though the Dúnedain of the North were nearly destroyed, they continue to watch and guard the lands that were once their kingdom. At their head is the Chieftain, Aragorn, descendent of Isildur. In this time of survival, with new dangers threatening the North in ever greater numbers, Aragorn must rally his people, and come to the defense of all Middle-earth. help him to be ready for any dangers that may lurk ahead. on the other hand, he can either make a powerful attack or guard against the blows of his enemies. —Aragorn can easily shrug off his fear. Your journeys through Middle-earth are about to begin. Legendary heroes rise, each ready to contribute to the quest in their own way. In the end, however, the path they take is in your hands. You can pre-order your own copy of The Lord of the Rings: Journeys in Middle-earth (JME01) at your local retailer or online through our website today! Look for Journeys in Middle-earth to arrive in the second quarter of 2019.